Wenling Harst Machinery Co., Ltd.
Our imporoved and advanced enquipment and owned skilled technician so ensure you best quality and definitely with our best factory competitive price. B. Good material and Quality :Since we are honest factory,we expect and look forward long cooperation,So material and quality we paid high attention. And for quality we usually checkout during the production twice to control the quality,and we can also test on machine C.
1. When can I get the quotation9 We usually quoted within 24 hours after receiving your inquiry. If you are very urgent to get the price, please call us or tell us in your email, so that we can regard your inquiry priority. 4. What about the lead time for production9 Honestly, it depends on the order quantity and the type of our products. 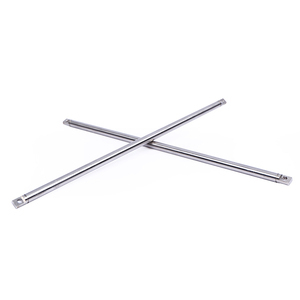 Dongguan New Ming Jie Precision Mold Technology Co., Ltd.
Zhejiang World Machinery Manufacturing Co., Ltd.
OEM high precision Spline Shafts with Mated Bushing,nice bushing. 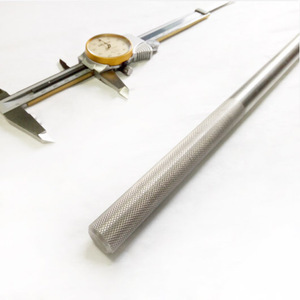 We have extensive experience with meeting the most challenging shape dimensions and tight tolerances. Maintaining the tight tolerances is one of the most critical factors when performing keyway shaping and broaching services. 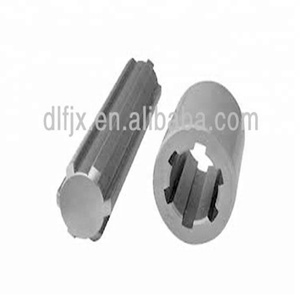 Broaching is generally the best solution, depending on the quantity and length/size of spline. cnc metal involute spline shaft for motorcycle reduction parts Specialty precision machining Manufactory!!! The sample cost depends on all information (size, material, finish, etc.). our Industrial parts products are featured by strict tolerance, smooth finish and long-life performance. Specifications Tooth trace Involute Material 20CrMnMoA Process Forging, carburizing, hobbing, spline shaping Pressure angle 20&deg; Quality level AGMA 9 Type Mn=14, Z=21, a=20&deg;; Z=18, a=20&deg;; Brand NYY Max. N. M 3800 Total length mm 350 Our Feature: 1) In-house capability: OEM service as per customers' requests, with in-house tooling design & fabricating 2) Professional engineering capability: on product design, optimization and performance analysis 3) Manufacturing capability range: DIN 3960 class 8 to 4, ISO 1328 class 8 to 4, AGMA 2000 class 10-15, JIS 1702-1703 class 0 to 2, etc. 4) Packing: Tailor-made packaging method according to customer's requirement 5) Just-in-time delivery capability Primary Competitive Advantages: &bull; Manufacturer &bull; Experience in Cooperate with Fortune 500 Companies &bull; Professional Engineering Capability &bull; Stable Quality &bull; Reasonable Price &bull; Small Orders Accepted &bull; Continuous Improvements &bull; High Product Performance &bull; Prompt Delivery &bull; Professional Service Product Specifications: Material Alloy Steel Casting Steel Gray cast iron Ductile Iron Weldment 20CrMnTi 20CrMnTi HT200 QT400-18 20CrMnTi 20CrMnMo 20CrMnMo HT250 QT400-15 20CrMnMo 20 CrMo 20 CrMo 20 CrMo 35CrMo 35CrMo 35CrMo 42CrMo 42CrMo 42CrMo 20Cr2Ni4A 20Cr2Ni4A 20Cr2Ni4A 20CrNiMo 20CrNiMo 20CrNiMo 20CrNi2Mo 20CrNi2Mo 20CrNi2Mo 40CrNiMo 40CrNiMo 40CrNiMo 18CrNiMo7-6 18CrNiMo7-6 18CrNiMo7-6 17CrNiMo6 17CrNiMo6 17CrNiMo6 34 CrNiMo6 34 CrNiMo6 34 CrNiMo6 18Cr2Ni4WA 18Cr2Ni4WA 18Cr2Ni4WA 18Cr2Ni4WE 18Cr2Ni4WE 18Cr2Ni4WE 45 C 45 C 45 C 40Cr 40Cr 40Cr 38CrMoAl 38CrMoAl 38CrMoAl 16Mn 16Mn 16Mn 16MnCr5 16MnCr5 16MnCr5 GCr15 GCr15 GCr15 Modulus 1mm -50mm Accuracy DIN Class 4, ISO/GB Class 4, AGMA Class 13, JIS Class 0 Standard DIN, ISO/GB, AGMA, JIS Heat treatment Quenching and tempering, gear teeth induction quenching, nitriding, carburization Application Wind turbine, locomotive, feeding machinery, metallurgy machinery, mining machinery Gear shaft length 2500mm max. Renqiu Lijiu Transmission Parts Co., Ltd.
Hangzhou Mory Trade Co., Ltd.
Alibaba.com offers 10,209 spline shaft products. About 51% of these are shafts, 3% are machining. A wide variety of spline shaft options are available to you, such as spline, flexible, and gear. You can also choose from steel, stainless steel, and aluminium. As well as from black oxide, nickel. And whether spline shaft is free samples, or paid samples. 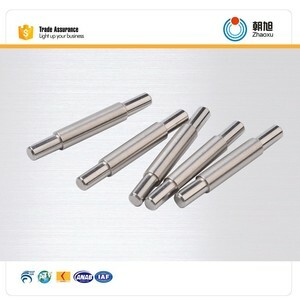 There are 10,156 spline shaft suppliers, mainly located in Asia. The top supplying countries are China (Mainland), Taiwan, and India, which supply 98%, 1%, and 1% of spline shaft respectively. Spline shaft products are most popular in North America, Western Europe, and Domestic Market. You can ensure product safety by selecting from certified suppliers, including 4,878 with ISO9001, 2,811 with Other, and 1,179 with ISO/TS16949 certification.